The Vocations Committee of St. Gerald Parish, with the guidance of the Holy Spirit, strive to jointly walk the path for all those considering a religious vocation by providing support, information and prayers. We pledge to combine our talents and resources to assist all those discerning religious life. "A vocation is a call of invitation. It is important that we pray for vocations since the answer to an invitation from the Father is always a grace. We pray particularly to Mary who gives us the model response to a life-changing invitation from God." Your prayers for vocations really help! Click here and order free booklets and prayer cards to assist you in lifting your prayers to God for this important intention. 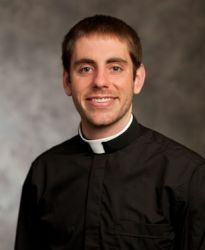 The Archdiocese of Omaha website vocations page features videos from three Archdiocesan priests, Rev. Damien Cook, Rev. Jim Keiter, and Rev. Andrew Roza. Hear their stories of discernment, seminary experience and life as a priest. Listen to how our Lord has led and inspired them to lay down their lives. Click here to view these videos. Or, if you have not already done so, scroll down to view the monthly reflections from past months. Deacon Steve Luna talks about his experience in discerning his vocation to the diaconate and explains the process of becoming a permanent deacon. Sr. Rosalee Burke is a Notre Dame Sister who worked in our parish in the 1990s and in 2012. She celebrated 50 years as a vowed religious Sister this past summer. This January and February, Sr. Rosalee will share how she decided to enter the convent and how her life has been. In March, she will have an intimate conversation with parents and students about how to know if this is the life our youngsters are being called by God to consider. Click here to view these reflections. Click Here to read a reflection from Fr. William Fitzgerald (Fr. Fitz), former co-pastor of St. Gerald Parish. In addition this month, we have a short video from the Archdiocese of St. Paul/Minneapolis about a pilot who answered his call to the priesthood. "There were many influences in my life that led me to become a Protestant pastor and then, as a Catholic, a deacon. Almost all of them center around the actions of people." 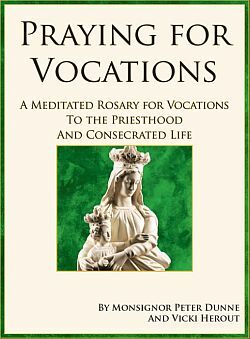 Pray for vocations... It is easy to participate! Pick a date and attend an extra Mass each month on that date to pray for an increase in vocations. The sheet is on the bulletin board in back of church to sign up. 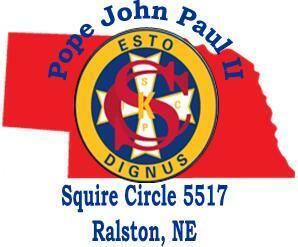 Any questions call Kathy at 402-339-3658 or send an email.